 Connext 2020 will take place in Milan, at MiCo, on February 27 -28. Connext is Confindustria's industry partnership meeting event in Italy. A 2-day companies exhibition and networking opportunity focusing on the key drivers of economic and sustainable development. In the innovative venue of MiCo, Milano Convention Centre, Connext will be the platform for shared value creation, where Confindustria's ability to connect and to offer vision and growth potential to enterprises will be made available at first through virtual networking and then by bilateral business meetings, in a dynamic and stimulating context. A large business community where companies can play a leading role through corporate presentations, latest products and services showcase and demonstrations, projects and business opportunities. Connext is about connecting companies. Smart manufacturing is innovative, sustainable and interconnected. This sector has integrated Industry 4.0 "enabling technologies" into production processes, creating a connected system in which machines, people and information systems interact to create innovative products, services and work environments. Smart manufacturing aims at improving the quality of products and processes and manage the entire production cycle, from design to customer satisfaction. Integrated services, logistics and distribution have become strategic variables to rationalise the production process and better meet the needs of the end customer. Today, cities are becoming the driving forces behind global economic and social development: urban areas produce over 60% of Gross Domestic Product and consume almost 90% of resources. Metropolitan areas therefore represent the ideal base to face challenges related to energy, urban regeneration, environmental services and mobility. Sustainability is one of the key drivers affecting policies, innovation and investments. It is a challenge that companies must face head-on in order to meet the needs of our new society. On a local level, this challenge can become an opportunity to carry out projects to modernise the transport system, logistics and infrastructure, to protect the area, to ensure an increasingly efficient use of resources and to enhance the landscape and cultural heritage of a country. Anything related to people, from new needs to basic necessities, represents a driver of development for many industrial sectors. Through research, innovation and the use of new technologies, industries have found wide opportunities to develop and invest in new products and services in many different areas, including fashion, nutrition, training, health and life sciences. All the exhibition modules are supplied with basic equipment on a turnkey basis. N.B. For organisational reasons, the basic furniture cannot be substituted. Any unwanted pieces will be removed from the stand and further requests will be charged according to the rental rates for furniture and furnishings shown in the "Event Booklet". The setup of the exhibition may undergo slight changes compared to the images for technical reasons, without notice from Confindustria Servizi; the rendering is not intended to illustrate the specific technical characteristics of the product.